One of the slickest and fastest everyday laptops for under £700 - but is it for you? 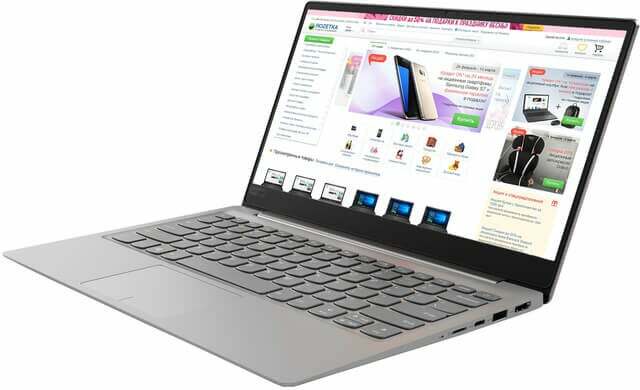 The Lenovo Ideapad 320S (14IKB) is one of the most popular 14-inch laptops around today – and was built with professionals in mind who want to get the most bang for their hard-earned bucks. And it’s our number one budget laptop under £700. With the latest tech like the Intel i5 processor and a 128GB SSD (solid-state drive), this machine will have you speeding through your daily work tasks and is a steal at under £700 (plus, we’ve found our readers deals at Currys and John Lewis for under £600). For what matters to most small business owners, this laptop has the edge over rivals thanks to its decent battery life and phenomenal speed. And you can even look forward to some nice touches like Dolby Audio and a full HD screen to make work that bit more enjoyable. Lenovo’s popular Ideapad 320S is quick off the mark – it boots up in just eight seconds (cheaper versions take closer to 20). And the latest tech like the Intel i5 processor makes it a pro at tackling office tasks, even running several programmes at once. This little machine was designed to make work life easier – it’s portable, packed full of USB ports (now a dying species), a quality webcam for any business calls, professional quality audio, a responsive touchpad and a screen that’s pleasant to look at. Seven hours’ battery life is a good amount for professional use – it means you can move around your office space freely and even take your work on the go. The screen is impressive – it’s slim and custom-built to go easy on the eye. The colours are bold and the text is clear – and you’ll thank the anti-glare and full HD display after a long day’s work. Many small business owners also find 14 inches an optimal size for work use. Lenovo has pulled out the stops on this device’s sound system – you can enjoy two quality Harman speakers along with Dolby Audio, so your business calls will sound crisp and your office music can be the envy of other start-ups. Lenovo’s Ideapad 320S (14IKB) has everything small business owners need – speed, reliability and battery. Plus, it doesn’t do too badly on the nice to haves either. You can make your work more enjoyable with perks like the anti-glare full HD screen, Dolby Audio and a megapixel webcam. This machine was built with professionals in mind who want to squeeze the most bang out of their hard-earned bucks and it’s now available on offer.